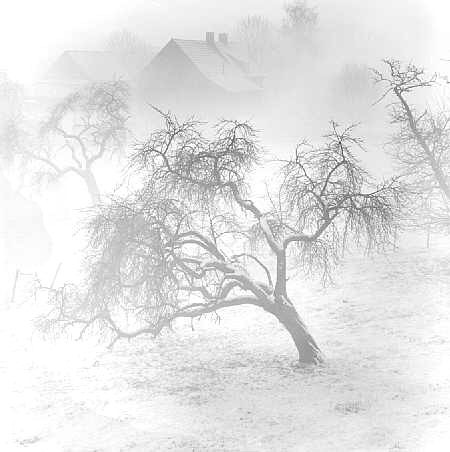 Description Apple-Tree and Fog-bank, 1997. Orchard viewed from the steep winterdike of the Lower Rhine. Negative 6x6 cm, Agfapan25 rollfilm. Print selenium-toned silverprint on fiber-based paper.